Not much has changed with the inshore bite, big Snook are still cooperating in the St. Lucie river using live Mullet and bigger Pilchards. These fish will not hesitate to eat a top water lure either. If you can brave the wind the west side of the river north of Walton has produced some nice Snook and Sea Tout as well. 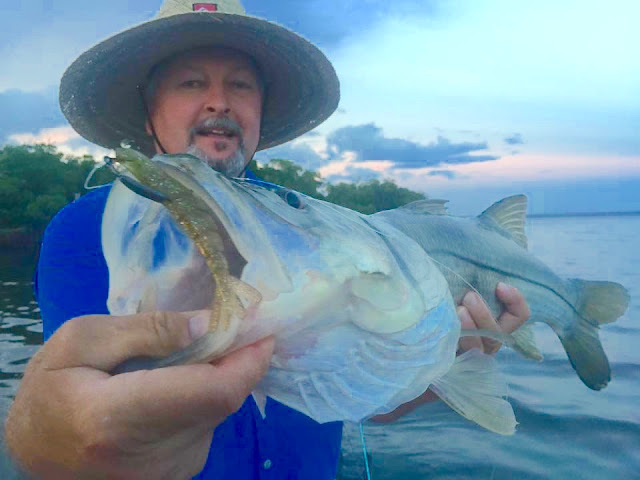 Top water lures in the morning, switching up to a swim bait or Shrimp lure later in the day will get the bite.